Someone’s about to answer to Sasha Fierce! 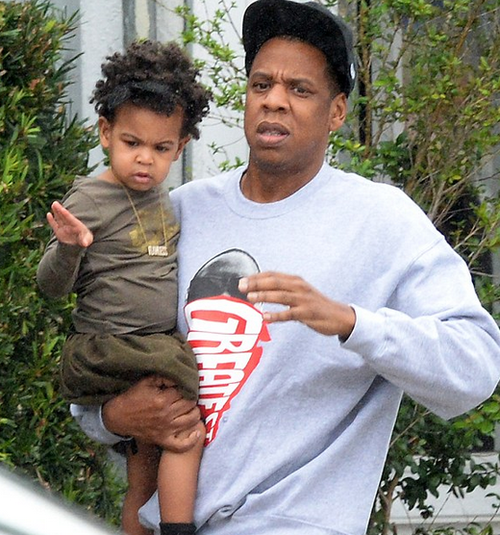 It seems that there are several concerned citizens hoping to help Beyonce and Jay Z’s daughter Blue Ivy Carter straighten out her knots and tangles. Jasmine Toliver created a new Change.org petition titled “Comb Her Hair,” in a desperate attempt to protect the 2-year-old from what she deems unhealthy hair care. “As a woman who understands the importance of hair care, it’s disturbing to watch a child suffering from the lack of hair moisture,” she wrote on the petition. The petition already has more than 3,900 signatures and reached its goal of 2,500. It’s not clear what happens when the protesters reach their goal, but it’s unlikely the Carters will be enthusiastic to adhere to the group’s hair care guidelines. Several of the group’s signers commented, explaining their passion for this topic. “Because no child who’s mom spends thousands on her hair (monthly) should live life looking like a sheep!” Nancy Kondo wrote. “Cruelty to children has to stop,” Annie Campbell wrote.